The liberal media were at it again in 2018, continuing to misreport, exaggerate, censor and spin business and economic news. Some moments were laughable, such as when a New York Times reporter implied America no longer uses coal for energy. Others, such as the warning of a “climate genocide,” were no laughing matter. Overreaction and panic are typical of the environmentalist left. Cosmopolitan magazine proved it again as they ordered people to stop consuming avocados ... for the trees’ sake. “You need to stop eating avocados, right now,” Cosmopolitan demanded Aug. 17. John Llloyd spotlighted how Ted Cruz has picked a fight with the media in a Thursday item for Reuters: "Most Republican contenders take a swing at the media, but Cruz swings more than others." Lloyd pointed out how after his victory in Iowa, Cruz "did not forget to say that it was the American people, not the media, who had chosen him. A supporter emphasized the point by waving a placard in front of the camera, urging viewers — 'Don't believe the liberal media.'" This sign is actually part of a Media Research Center campaign targeting the media's liberal slant. There was a marvelous moment on this weekend's "Chris Matthews Show" when the host literally stuck his foot in his mouth claiming in front of four British journalists that former Prime Minister Tony Blair "was much closer emotionally and politically to Bill Clinton" than George W. Bush. You would think someone in the U.S. establishment press would be following Uncle Sam's progress or lack thereof in getting out from under its investment in Citigroup, especially since the government promised that it would be fully divested from the bank holding company by the end of this year. From all appearances, you would be wrong. 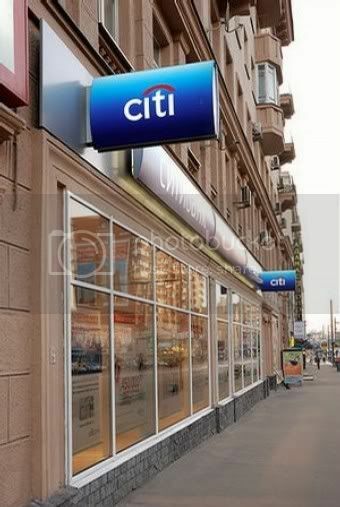 The US government is in danger of missing its deadline of divesting all of its Citigroup shares by the year-end after a fall in stock market trading volumes prompted authorities to slow down sales in July and August. The lull could prompt the US Treasury, which has a stake of about 17 per cent in Citi, to consider a share offering instead of selling the stock in small quantities in the market, according to bankers and analysts. Headlines: Jobless Claims Plunge, Dive, Plummet, and Decline Sharply. But Did They? The day before Thanksgiving brought encouraging news on unemployment. CBS News.com reported "New Jobless Claims Plunge to 466K." Investors.com headlined "Jobless Claims Dive To 466,000." 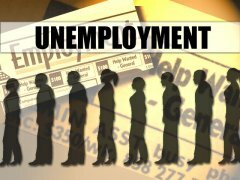 CNN Money.com issued a special report titled "Jobless claims plummet to 14-month low." And the Financial Times included a link to the Calculated Risk blog article "Weekly Initial Unemployment Claims Decline Sharply." The advance number of actual initial claims under state programs, unadjusted, totaled 543,926 in the week ending Nov. 21, an increase of 68,080 from the previous week. The Financial Times's chief foreign affairs columnist and blogger can't understand why people got so upset at him. He responded to a volume of disagreeable e-mails reacting to his December 9 column on the idea of having one world government in two different blog posts (the photo at the top right is from his blog): "Covered in Internet Slime" (December 10) and "Final Thoughts on the world government row" (December 11). His bottom line is that he considered his original column a "dispassionate discussion of the possibility" of a world government. Someone who "can read, but .... cannot think." Someone who subscribes to "end days" theology. (heaven forbid) Someone who "believes that global warming not only is a hoax - but that it is actually a conspiracy." (oh my gosh) Someone "clinging to guns and religion. And clinging is the word." By definition, projection is revealing of what lurks in a person's heart and mind. Arianna Huffington projected tonight, and what she revealed wasn't pretty. So much so, that even her liberal host hastened to diassociate herself from the HuffPo editor. Huffington, grossly misquoting Grover Norquist's famous line about doing away with government, added an infanticidal twist. Huffington was a guest on Rachel Maddow's MSNBC show. The two shed crocodile tears about the diminished state of the Republican party. It was in suggesting that, of all things, she and Maddow should head up a Marshall Plan to save the GOP that Huffington engaged in that ugly bit of projection. Obama-backing Financial Times Reporter Starting to Show Buyer's Remorse? The greatest danger of all is that the valid case for a strong stimulus takes under its wing spending proposals that create an ongoing obligation, have no true investment rationale, and represent a waste of public money now and in the future. The bail-out currently being sought by the big US carmakers falls squarely into this category. Managers and unions have conspired for years to drive US-owned, US-based car manufacturing into the ground. Now they seek public subsidy to pay for investments they should have undertaken in any case, and to sustain wages and benefits that comparably qualified workers in other industries cannot hope to enjoy. Why a worker in a US-owned car factory deserves more generous treatment than any other kind of US worker escapes me. Asking those other workers to pay for these privileges seems to add insult to injury. Perhaps President Obama will be able to explain. Reporter Clive Crook really likes Barack Obama and in a November 3 op-ed practically endorsed him for president. But, the Financial Times reporter worries, the Illinois senator has some loopy economic ideas. Yes, your just read that correctly. A reporter for one of the Anglosphere's well-respected financial newspapers admits he'd vote for Obama were he an American citizen -- Crook is a subject of Her Majesty Queen Elizabeth II -- but he hopes his stump speech populism is all a vote-getting gimmick.